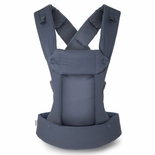 Beco Baby Carrier was designed by a babywearing parent, active sailor and rock climber, Gabby Caperon. Beco combines perfect ergonomics, excellent weight distribution and stylish design from top quality fabrics. Each carrier is handmade by a skilled seamstress in facilities which apply high social and economical standards. Sustainability and minimal impact of our production on the environment is important to us. Beco Baby strives to provide the best quality, safe products and friendly customer service. Beco baby carriers come in 2 styles; Beco Gemini & Butterfly 2 The Beco Gemini The Beco Gemini Baby Carrier is a 4 in 1 baby carrier that includes a front carry (facing in or outwards), back carry, and hip carry. Made from high quality tested materials. Includes features such as wide padded shoulder straps, foldable headrest, and a tall/wide body to support a growing baby. 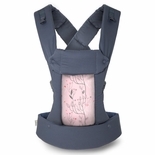 Butterfly 2 - Comfortably carry your baby in front in the Beco Butterfly, or easily wear your baby on your back. Great for newborns all the way up to 45 pounds. The Beco Butterfly has a handy removable sleeping hood to support a head of a napping child. It can be also used as protection from sun, rain or snow, although it is not waterproof. The sleeping hood is stored in a pocket on the waist belt, and can be used in front and back carry.